If you’ve visited the About page, you’ve learned that I’m involved in SEO (Search Engine Optimization) technology. I am following many foreign and domestic sources to learn about search engine optimization, and I am doing experiments. Of course, I’m learning other people’s ideas about SEO . Especially those who dream of continuing their business on the internet are almost in the process of giving up, fearful of the competition in the sector. When they start to work on being on the Internet in this sector, they know that the companies that have taken the sector before they are in front of them. The biggest shortage of search engines, especially Google “on the first page may even live in the first stage on Google. Many people have created their own proposals without consulting an SEO expert, and I observe these phrases in order for those around me who are suggesting it to me. I want to share with you the most common terms. Does the title look familiar to you too? The most common excuse I can say. Do not forget that with a good working routine, good budget and little patience, there is no reason not to come to the point where you are targeting Google searches. Our goal is to attract potential customers who are interested in the sector we operate in, but one-word-based SEO improvements will not give you the benefits you expect and even cause you to give up because there is a lot of competition. Well, what can we do? We have to observe how the users search. For example, transportation, spraying, playing games, flowers, chatting words are words that are hardly known in the Turkish SEO sector. Take the transport example. It only takes a long and robust budget to deal with good spots in the ” shipping ” or ” home to home ” keywords. However, if we detect specific keywords that are specific to the area in which we operate, we will achieve less cost and return in a shorter time. How is it? You only have the transportation company operating in the province of Izmir, ” Izmir transportation “, ” Izmir Evden eve”It takes both a shorter time and a lower cost to arrive at a good point. The most important result is that you will be addressing the real target. Let’s say you’re first in the Google search engine with the keywords ” shipping ” or ” home delivery “. 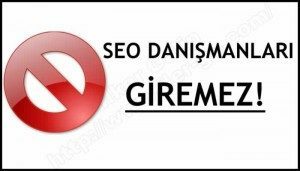 The potential customers who come to your site with a search from Istanbul, Ankara, Eskisehir or other illiterates do not mean anything to you because you do not operate in them. This title also sounds familiar to you. This is a judgment and we can not say a wrong judgment. Yes, ” Search Engine Optimization ” sometimes requires a lot of spending. But looking at the situation from the other side will prove that this point of view is not correct. Almost all of the companies on the Internet are using the Google Adwords advertising network. Of course, this promotional tool will be used, but this cost will require continuity. The only way to reduce this cost is to do your SEO work on your site as well . The better your site is on the Google search engine, the less you spend for Adwords. In short, Google Adwordswhile constant spending is required. The SEO work that will be applied to your site is especially cost-intensive in the first place, and these costs decrease in the following process. Do not forget that SEO is not the only thing to be done once. As long as you maintain the continuity of your SEO work, you can protect your site otherwise all your efforts will be wasted.